No traveler can avoid toilets - sooner or later after arriving in Finland, you’ll need one, that is for sure. But oftentimes, public foreign toilets are different from the ones you have at home. Here’s what should you know about those toilets in Finland. The cleanest toilets are usually the ones in department stores and shopping centers. Finland’s capital Helsinki offers a few public restrooms facilities in the city center. The days of outhouses are numbered. Finnish restrooms in the cities are modern, clean facilities and are very handicap-friendly. Toilets in Finland are cleaned regularly, especially toilets in restaurants and shopping areas. Some public toilets in Finland are even self-cleaning and you might see a button on the wall indicating a self-cleaning feature...watch out for a suddenly revolving toilet seat when you push that particular cleaning button. On excursions into the countryside and remote or rural areas, outhouses without running water may be your only choice. 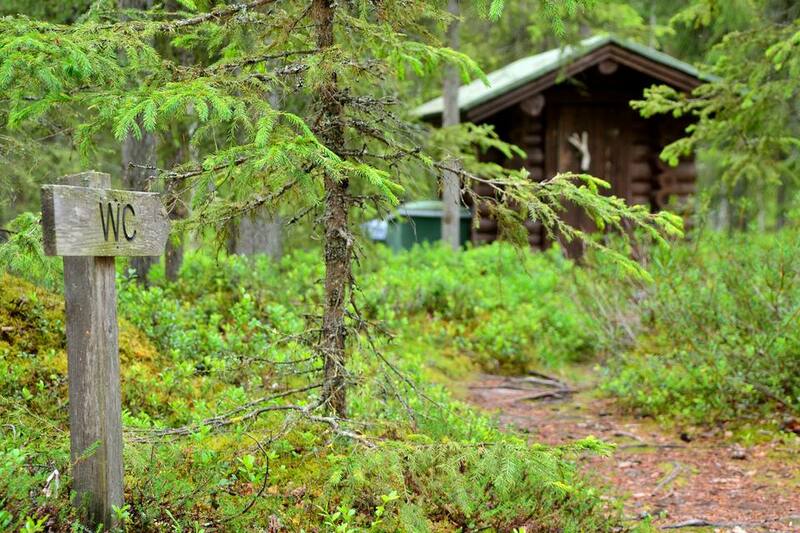 It can be hard to find a public toilet in Finland, so use your accommodation’s bathroom before you go out. In Finnish cities, public toilets often cost something (usually around 50 cents). Carry some coins with you at all times to be able to go when you need to. Roadside toilets are far and few in between. Go before you leave and once on the road, better go at the gas station during each fuel stop to avoid emergency situations in the middle of nowhere. Just like anywhere else, those public toilets at Finland's airports and train stations can sometimes look and/or smell unsanitary. If your needs aren’t urgent, just wait and use the bathroom at your hotel in Finland when you get there. When flying out from a Finnish airport, the public restrooms behind the security checkpoint - only accessible to travelers with boarding passes - are often cleaner and better maintained than the toilets in the public area where you check in. Most toilets in Finland show symbols for ladies/gents restrooms so they're easy to identify. If you don’t see toilet symbols, the letters “WC” (water closet) will also lead you to the restroom and can imply that the toilet is not gender-specific, especially when there is only one. To fight vandalism, the Finnish Road Administration has implemented an interactive system along Highway 1 which requires restroom visitors to send the text message "Open" ("Auki" in Finnish) from their cell phone. This automatically unlocks the roadside toilet for your use. So, before you leave for Finland, best double-check with your carrier to make sure your phone will work there.